The camouflage could fool you, but the next-generation Porsche Panamera is totally new - and on a mission. While the previous model was a standalone car, this one will be the technical basis for a number of upcoming Volkswagen Group upper-premium vehicles. Internally called Type 971, or G2, it is the first car that builds upon the Porsche-developed MSB architecture. MSB stands for Modularer Standard-Baukasten. We applaud the fact that Porsche identifies a front-engine, rear-wheel drive layout as "standard." 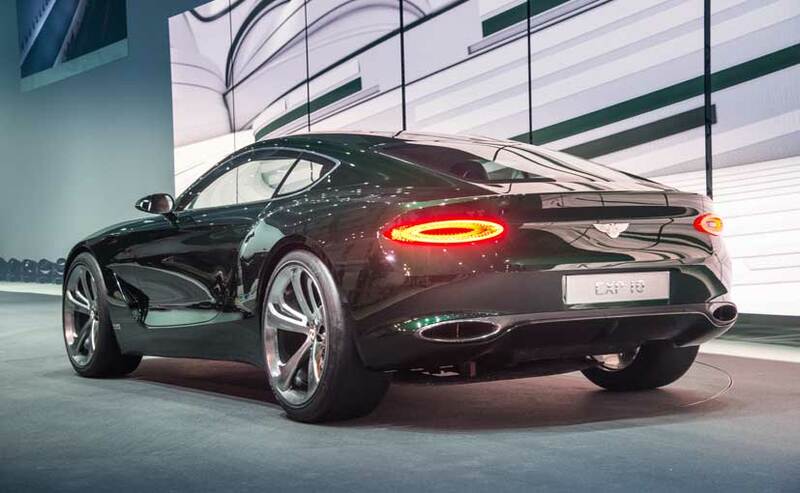 It will underpin the next-gen Bentley Continental family, the next Bentley Mulsanne, the compact Bentley Speed Six, and a possible two-door variation of the Panamera - for starters. And it shares a number of components with the upcoming, fully electric Porsche Mission E, internally called J1. The dimensions of the new Panamera remain virtually identical to the outgoing model, but the proportions have been reworked - and noticeably improved. The windshield is more steeply raked, and the roofline above the rear passengers is lower by a full 20 millimetres - yet rear headroom, at minus 3 mm, is virtually unchanged. The side windows lose their upwards kink and now look more like the 911's. The wheelbase is elongated by 30 mm, and the boot grows significantly. The new Panamera's front and rear fascia are sharper and more angular than before, and the LED taillights - still hidden under disguise on the testing prototypes - are slim and rectangular. Up front, there are two levels of ultra-modern LED lighting - also still hidden under disguise. The Turbo model is clearly differentiated with larger and more aggressive lower front air intakes. You can also tell the models apart by their exhaust tips: The 4S model gets four round tailpipes, the Turbo sports four rectangular ones; the upcoming entry-level Panamera will have two oval exhausts. 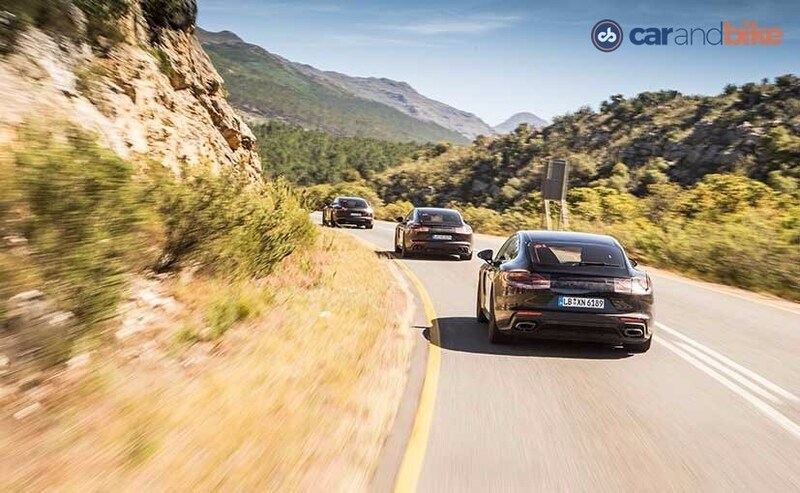 This is the lineup: There will be the base Panamera 4 with a single-turbo 3.0-litre V6 (approximately 350bhp), the Panamera 4S with a twin-turbo 3.0-litre V6 (440bhp), and the Panamera Turbo with a twin-turbo 4.0-litre V8 (550bhp). 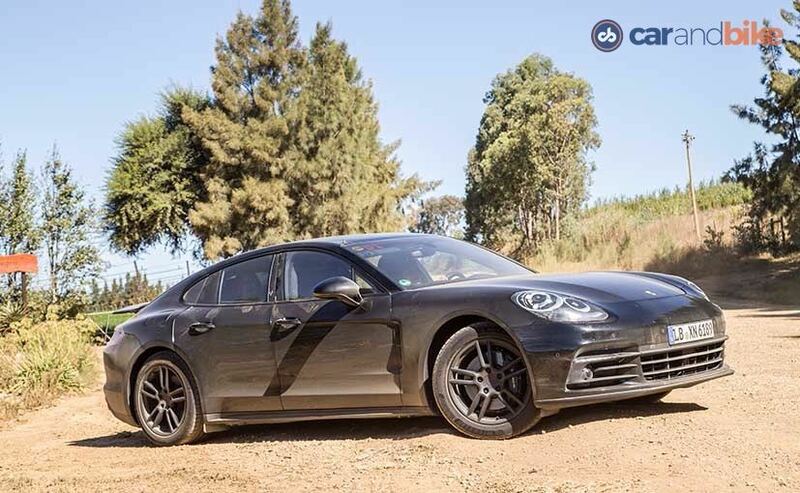 The Panamera 4 Diesel will get a 3.0-litre V6 TDI (approximately 340bhp), and the 4S Diesel will come with a twin-turbocharged 4.0-litre V8 TDI (420bhp). Down the road, there will be a plug-in hybrid, and an ultra-powerful, 600+ bhp Turbo S that builds on the Turbo engine. The 4S, Turbo and 4S Diesel will come to market first. All models are fitted with a ZF-supplied 8-speed dual-clutch automatic gearbox, affectionately called Porsche-Doppelkupplungsgetriebe by its creators. We simply prefer to call it PDK! This is the only transmission that will be used on any of the VW Group's MSB vehicles, and it is designed to incorporate an electric motor on hybrid models. The 6-speed manual, available on the predecessor until 2014, was ordered in such low numbers that the thought of a replacement was swiftly discarded. The soundtrack of the new engines is beautiful; the V8 diesel sounds like a petrol engine, and the V6 twin-turbo petrol engine delivers the most impressive exhaust crackle. In good Porsche fashion, Vmax is ungoverned, and when the characteristic four-dot headlights appear in your rear-view mirror, you should move out of the way swiftly. The chassis and structure are all-new as well. 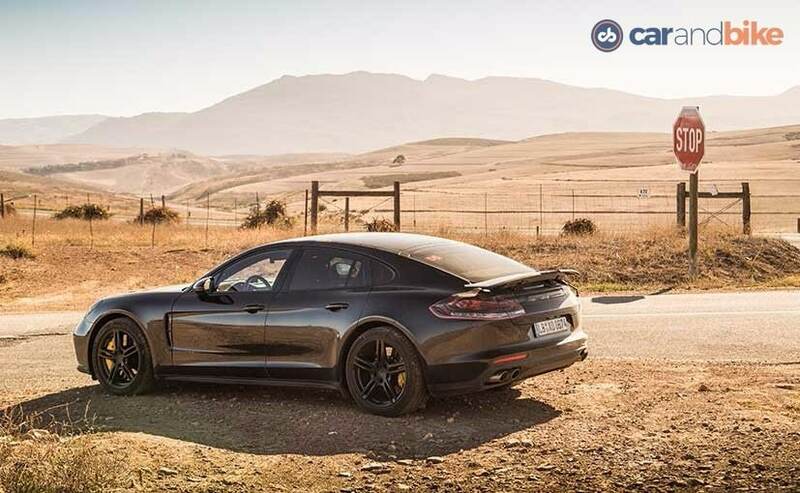 The MSB architecture is designed for rear- and all-wheel drive applications; at launch, the Panamera will be offered exclusively with an all-wheel drive system that can operate from a 100:0 to a 20:80 rear/front torque distribution. 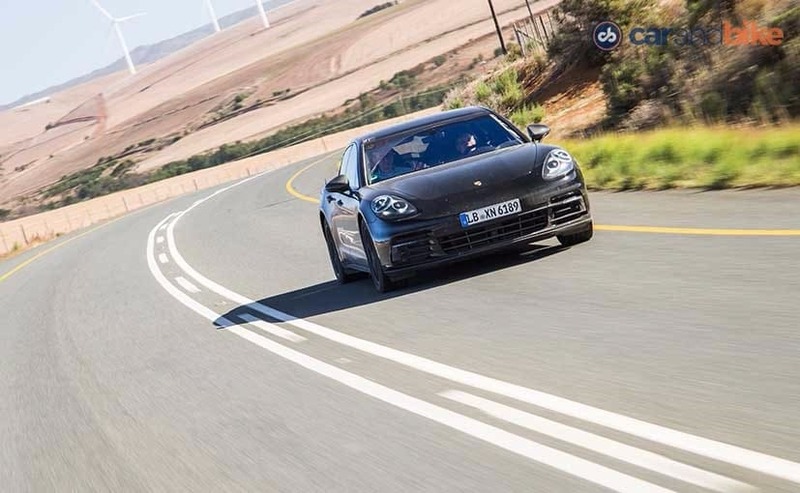 The Panamera stands on 19", 20" or 21" rims; there is a choice of steel or carbon-ceramic brakes, and the stability control system features several modes. It can also be switched off entirely. A rear-wheel steering system is optional, and it makes a significant difference: the turning circle shrinks, there is more agility on twisty roads and incredible high-speed stability. When specified with this 4WS system, the Panamera is upgraded with a 48-volt electrical architecture. An innovative software connects all chassis systems, including the three-chamber air suspension, and adjusts the car to road conditions and driver input permanently. 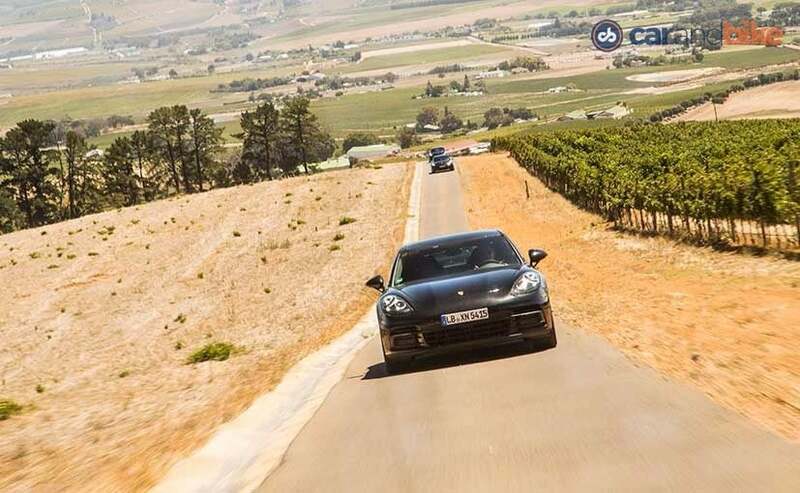 Whether on flat asphalt, in narrow curves or on tertiary gravel roads, the Panamera sucked up the miles and swallowed the surface with incredible ease. Even though there are "100 kilos worth of substance added," Porsche has managed to keep the weight below the level of the predecessor. The outer skin is made from aluminium, the B-pillars are made of steel - the best solution to meet side-impact regulation in western markets. The user interface has been entirely rethought: The sea of buttons that adorned the first generation has been replaced with touch-sensitive surfaces and a limited number of toggle switches. 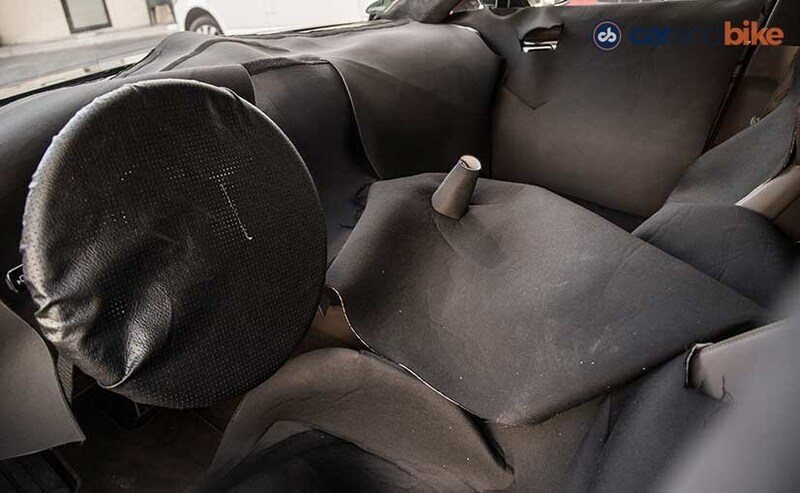 The new car is all about clean surfaces: The central air vent can be closed entirely, the cup-holders need to be pushed down into the console; when not in use, and their bottom rises to close the surface, like in the VW Phaeton. A number of functions can be accessed only through the large, central 12.3-inch central screen - and the display surprised us with ultra-reduced grey-on-black graphics. In front of the driver, there is an analogue tachometer, flanked by two 7-inch TFT displays. While the Panamera is an incredibly aggressive driver's car, it also pampers the driver with an available suite of assistance systems - including a stop-and-go functionality for traffic jams, a night vision system, and advanced connectivity that integrates much of your smartphone functionalities. And the rear is as spacious as before, with two pronounced rear bucket seats and a high centre console. A five-seater version will be offered at a later stage. Porsche is in the final stages of readying the second-gen Panamera for production; we expect to see it on the market by early 2017. When it comes to driving dynamics, this is the new apex predator in the luxury segment. Faster, better looking and fitted with cutting-edge electronics, this car offers a unique combination of sportiness, luxury and space. Down the road, there will be a station wagon version as well - and the upcoming long-wheelbase version could well be the ultimate limousine - that will operate in the realm of the Flying Spur from stablemate Bentley.